1. High Quality Paper Must be Used You will need special professional series paper of archival quality. This paper is acid free and made from a 100% cotton or rag base. It is obviously more expensive than regular printing paper, so make sure to do adequate research on any paper you’re considering buying to make sure it will do the job you’re intending in the best possible way. Common types of print substrates include canvas, watercolor, matte, metallic, and photo paper. 2. High Quality Ink and Printer Must be Used This is a special light-fast ink which should be kept out of the sun. Printouts from this ink will usually last up to 200 years with minimal fading. 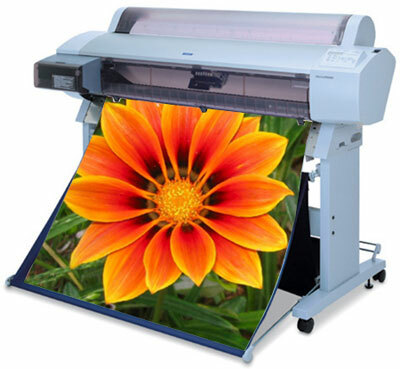 They are used in special large format printers intended for this purpose. These printers usually hold various ink colors. The more colors the better the quality of the printout. 3. There Must be a High Document Resolution Your giclée printout will have the highest apparent resolution that is available today. It has to be a minimum of 300 dpi and could be as high as 1800 dpi, creating an extremely smooth, consistent image. It will need to be able to capture every tiny nuance of an original piece of work, with exact precision. When produced in the right way, and with correct care, a giclée production should be able to stick around for at least up to 100 years. But take care never to rub your work and not to use water or any kind of cleaning chemical on any side of the paper so that it will last that long! You can also visit our blog post Spotlight on Canon imagePROGRAF Printers to learn more about large format printing. Which HP LaserJet Printer Topped the List in 2014?? HP LaserJet Printers are one of those things that people swear by. Many of our customers are looking to replace their old HP LaserJet Printer after it has died. But they won’t even hear about getting a new model. They want their same old trusted workhorse. And that’s what they are able to get from the Refurbished range at CopyFaxes. But if you’re new to the printer scene, or haven’t yet settled on a favorite, or even one that you like at all, you may want to check out what printers everyone else is falling in love with. So we give you the HP LaserJet Best Sellers of 2014. Do you use one of these printers? Please share your experience with us and all the people looking to buy. Do you have a different favorite? Let us know in the comments below. If everything else in the office world has gone mobile, allowing you to leave the office while still staying fully connected by doing work on the go, why shouldn’t it be topped off with a printing solution on the go too? This solution has finally arrived…with the invention of the Zuta Pocket Printer. The idea of this printer is to bring an end to people working outside their home or office struggling to find a place to print. This mobile printer is fun and easy to use, can be taken anywhere and prints from any device onto any sized page. It has a rechargeable battery with an on/off switch and connects directly to smartphones and PCs. It is not intended to take over the role of regular printers, but just to supplement them with a device that can very easily be taken along with you wherever you go. It’s therefore not intended for printing large amounts of work, just minimal amounts that are needed whilst in transit. A regular printer is made up of a print-head that runs left and right on a moving piece of paper. This printer has gotten rid of the entire device, and just placed the print-head onto a set of small wheels, with which it runs across a piece of paper. This allows the printer to be as small as possible. The USB connection for battery charging is located on the bottom of the device. The inkjet for this printer lasts for over 1,000 printed pages and the battery lasts for over one hour per full-charge. The final version of the printer is intended to be tear-dropped shape, measuring less than 4 inches high, 4.5 inches in diameter and weigh a little more than half a pound. It should be able to produce an A4 page of gray scale text or images in 45 seconds. A later version of the Zuta Pocket Printer will hopefully have Wi-Fi capability, color printing and the ability to print on more materials than just paper. Pricing for the printer should be approximately $250. Canon imagePROGRAF is a series of machines to choose from when printing professional, large format posters and projects. You are able to create vibrant, bold and eye catching results with up to 12 pigments of color using Canon’s LUCIA EX ink. 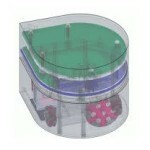 The image PROGRAFs include user friendly features such as a large LCD panel. 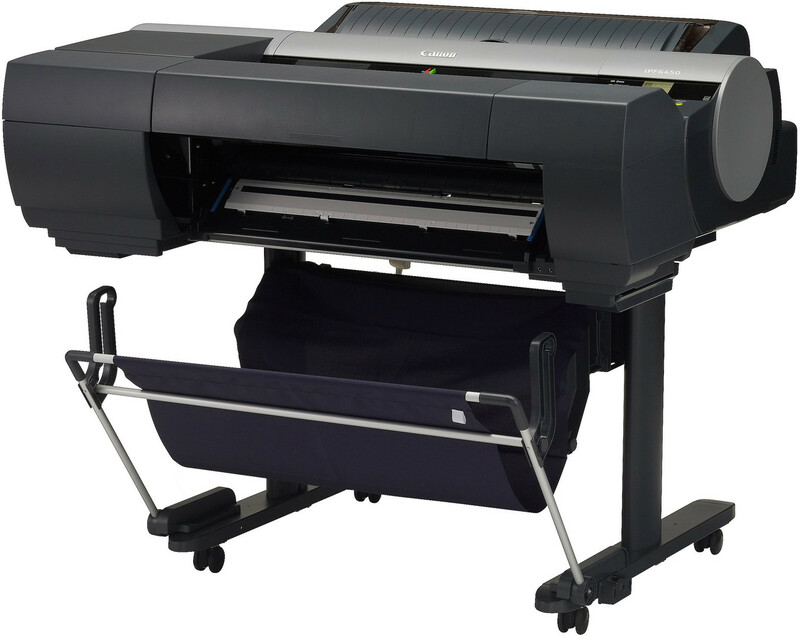 When using these large format printers you are guaranteed high speed results that will stand out every time. The Canon image PROGRAF series includes MFPs which are an effective way of scanning and sharing maps, drawings and posters all from one device, providing extra convenience and efficiency in your workplace. Customers around the world are raving in their reviews about the quality of these Canon machines even after heavy constant use over many years. Despite the high expense and expansive size, the Canon imagePROGRAF printers continue to be the choice machine on the market for consumers in need of large format printing. Visit CopyFaxes and check out our new line, selling a wide range of the Canon imagePROGRAFs with a one year warranty included. Be surprised to see these high quality machines at unbeatable prices and selected machines with large rebate offers. The HP LaserJet Printers seem to be flying off the shelves back at the warehouse. An ever popular choice, these printers are purchased by a range of customers, from the work-at-home Mum to the office manager. Let’s take a closer look at these laser printers and see what it is exactly that makes them so popular. A LaserJet Printer uses a toner, as opposed to ink. This means that the toner doesn’t dry up. So even if you don’t use your printer for a large amount of time, you don’t have to worry about ink having dried up while the printer wasn’t in use. A LaserJet Printer produces high-quality printouts. The printing is waterproof, which means that the ink will never smear even when it gets wet. Printing on a LaserJet is also very cheap – the cost per page is as little as a tenth of what it is for inkjet printers. 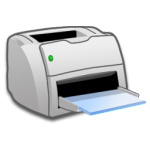 (Read more about this on Laser Printers Versus Inkjet Printers.) An average cost per page on a LaserJet is approximately 3 cents per page. Laser Printers are also extremely reliable. They are capable of producing thousands of prints a month, and will usually last many years, even after daily use. One single toner cartridge will usually be able to print several thousand sheets. It is usually very simple to repair issues that come up with your laser printer. Generally, all that needs to be done is to change parts available in a standard HP Maintenance Kit. In general, there are very few disadvantages to owning a laser printer. The main one is the cost of both the printer and its supplies. A great way to save on the price of your printer is by buying a refurbished one. (See Why Buy Refurbished) on more benefits to buying refurbished. Unfortunately, a new toner could cost almost as much as the printer did, which is why lots of people will just discard of the printer and purchase a new one when the cartridge expires in a year or two. A laser printer can also make the room it is in rather hot because of the fuser inside it, which heats up to as high as 200 degrees Celsius. It also is often heavy and takes up a lot of room or desk space in an office. In a comfortable office environment though, none of these points should be cause for much concern. An additional disadvantage is that many Laser Jets are limited by the amount of memory they are sold with. To expand the memory, a RAM board must usually be purchased. This will enable the color laser printer to utilize a larger variety of fonts. A laser printer should not be your choice if you intend to print a large amount of photographs. This is because photographic paper cannot be put through a laser printer, and a laser printer is not capable of producing very high-resolution images. After understanding the benefits of LaserJet Printers, it is clear why these are so often the chosen ones. All in all, a LaserJet Printer in the majority of circumstances would be your best bet. Whether new or refurbished, they are the cause of many, many happy customers. …Never let anything mechanical know you are in a hurry!! Does every task you start to do with your office appliance seem to be failing? Are your copiers and printers wasting your time instead of saving you time? And do you suspect there must be something more to know? Well then, it must be time to read this blog post for some enlightenment and practical advice. There is a special circuit in every machine called a “mood detector” which senses the operator’s emotional state of how desperate he or she is to use the machine and how pressured the user is for time. The “mood detector” then creates a malfunction proportionate to the desperation of the operator. Threatening the machine with violence only aggravates the situation. Likewise, attempts to use another machine may cause it to also malfunction. They belong to the same union. Fix yourself a drink, preferably a strong coffee…sip it slowly! For best results follow the instructions carefully…. Nothing else seems to work!! If all the above fails, call the mechanic. Buying a new piece of office equipment can be a daunting task for many. 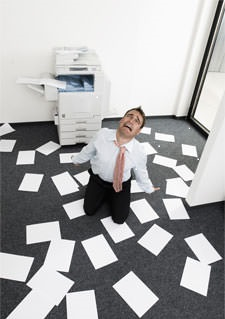 The expense involved, coupled with the fear of making a choice you will regret, cause many to dread the day their copier or printer emits its last. Find out how a Copier Guide can help you in this slideshow. Stay posted to be in the know when the Copier Guide by CopyFaxes is released! Ever thought about the ability of being able to print for yourself a pie of pizza, a bicycle, a fancy car, a piece of jewelry or even a new home??! 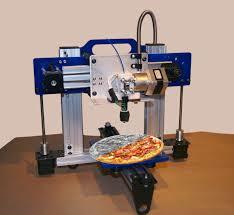 With the invention of the 3-D printer, this may become a possibility for you very soon. 3-D printing is a process of making a 3-dimensional solid object of almost any shape from a digital model. It is achieved by “printing” the materials in layers, one above the other, until a complex object is completed. How does it work? It somewhat resembles the more traditional forms of printing we are more familiar with. The information is entered into a computer, which then passes this information to a printer. 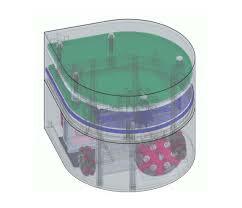 The difference with 3-D printing is that the information is not a flat electronic image, but an electronic diagram. Just as in regular printing, one needs to insert cartridges into the printer for it to produce the job, so too a 3-D printer requires cartridges in order to work. However, the cartridges in a 3-D printer not only contain the right color, but also the particular materials necessary for the printing job e.g plastic, metal etc. 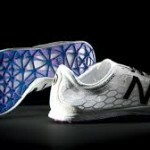 Let’s take the example of printing a shoe. You would enter the information for a three-dimensional model of the shoe into the computer. The computer sends this information on to a printer that uses the specific materials and colors necessary to reproduce that shoe. Why is it becoming so popular? 3-D printing can produce an item that used to take a few months to be made, in just a couple of days. Additionally, one is able to print out extremely costly products, avoiding the need to go out and purchase it. It not only saves time and money, but also produces higher-quality products. It is difficult to accurately predict how 3-D printing will affect the world of manufacturing. However, there is no doubt that there will be major changes in the industry. This is mainly because any individual person with a 3-D printer will be able to produce all kinds of products at home including electronic machines, cars, household gadgets, food products and lots, lots more. Since the start of the 21st century, there has been a large growth in the sales of 3-D printers, and their price is substantially dropping. There are already many individuals in America who own such printers. So keep on the lookout – we at copyfaxes may even be able to sell one to you in the not too distant future…!!! So, you managed to decide on a printer and it has arrived. It sits proudly, gleaming on your desk. A month passes. You look at it again and can’t believe it’s your new printer! How did it get so dirty? And why are there already marks on the printouts? Like most things we own, printers need taking care of. 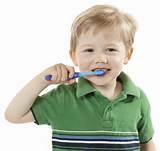 Our teeth need brushing and flossing, our cars need washing and gas. Printers, too, have their own set of requirements if you want them to stay looking and, more importantly, functioning the way they should. Make sure to power down your printer before carrying out the tips. 1. Clean the outside of your printer regularly in order to prevent dust or dirt build-up. Dampen a clean cloth with water or rubbing alcohol, and wipe the printer exterior gently. Beware that stronger cleaning liquids may cause damage. 2. Keep your printer covered when it is not in use. Apart from keeping the printer exterior clean, the cover will prevent dust, spills and other debris entering the inside of the printer, which are difficult to remove. Printer covers are available in most computer or office supply stores. 3. The inside of your printer should also be cleaned using a small portable vacuum, such as a keyboard vacuum. Do not use compressed air which can force the debris further into the printer. Beware not to use the vacuum on the cartridge as this can cause damage. Alternatively, use a DRY, soft, lint-free cloth to gently wipe the interior. Care must be taken not to touch the transfer roller (black spongy area beneath the cartridge) with one’s hands. 4. Always switch off your printer using the power button on the unit. Some printers carry out important functions before they shut down such as a self clean, which will be interrupted if the power is turned off at the wall socket. 5. Use the paper and ink/toner suggested by the manufacturer to get the best printing results, as well as to prevent paper jams and other related problems. Also, make sure to store the paper correctly (see our post Preventing Paper Jams – Top Tips for Paper Storage and Handling). 1. Use your printer regularly, at least once a week, to prevent the printheads drying up. Apart from losing expensive ink, dry ink on the cartridge heads will cause poor print quality. 2. Clean your printheads regularly to ensure high quality prints. Remove the cartridges and wipe the heads gently using a cloth dampened with distilled or purified water and replace when dry. 3. Make sure to replace ink cartridges as soon as indicated. Continuing to use near empty cartridges can cause the printheads to clog and reduce the printhead life. 1. Run a clean page through your printer every so often. If you can’t work out how to print a blank page, enter any character and then print. 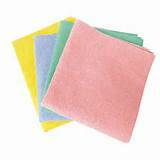 The clean sheet should pick up any toner powder, lint or dust that is in the paper path, preventing specks and dots on your prints. If you continue seeing marks, repeat the printing or check your printer manual – it may specify a better medium to use, such as a transparency. 2. The roller needs cleaning in order to prevent printer misfeeds. First, remove the toner cartridge and place in a dark place to avoid it drying out. Gently wipe the roller with rubbing alcohol, and then with a soft cloth to remove the dirt. Make sure the roller is dry with no remains of the alcohol before reinstalling. 3. Rock the toner gently from side to side before replacing it. This prolongs the toner life, as well as ensuring that the toner is equally distributed for even printouts. Follow these pointers and you’ll keep your printer as good as new! Even if you’ve had your printer a while, it’s not too late to start caring for it – you never know how many years you can add to its life. Save your ink by looking twice and printing once. Run a spelling and grammar check, and use the Print Preview tool to check you’re happy with the way your page looks. If you only need certain parts of a multi-page document, make sure to select only the pages you need (in the Print Preview dialog box). Don’t print out your documents on a higher quality than you need. Your printer is likely to automatically be set at a high print quality, but if you are just printing driving directions or a recipe that looks good make sure to switch to Draft Mode in Print Properties. Draft Mode uses less ink and is also quicker. Color ink is usually more expensive than black ink, so save money by switching any color that you don’t need to black. The Google Map will direct you just as well in black as in color. Find the option to Print In Grayscale in Print Properties. Ink low already? Its barely been used! If you are not a frequent user of your printer, it may perform routine maintenance to clean the print heads, which causes ink loss. To prevent this, make sure to print regularly – once a week is good enough, and also make sure to turn off your printer with the on/off button rather than from the mains. This will make sure your printer resets before it shuts down. No choice but to print the whole webpage…images and all. Wrong. Try looking for a link for a printable version or a PDF option. If neither are available, get rid of the background colors and images before printing in the Advanced Internet Options under Tools. Bear these pointers in mind when you go about your day-to-day printing needs and no doubt you’ll see your cartridges lasting longer. Just a little bit of thought and effort can make all the difference. What are Finishing Options and Why do I need them?